The Midwives of Womancare Midwives in London Ontario will support you with prenatal, birth and labour, and postpartum, postnatal periods of your pregnancy. During your pregnancy, you will be seen by your midwives every month, once a month, until the 28th week. 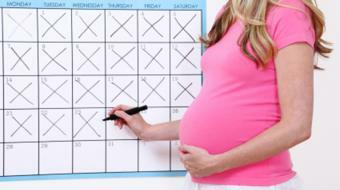 Then twice a month until the 36th week, and then weekly until the birth of your baby. During your prenatal appointments you will be given information about what to expect during birth and labour and when to notify your midwife that you are in labour. During labour your midwives will provide clinical care including monitoring yourself and the baby and also provide emotional support and comfort measures. Your midwives will be present during your labour and birth, and will stay until 2 to 4 hours postpartum to help monitor you and your newborn and to help with the initial first breastfeeding. During your postpartum period of pregnancy your midwives will have approximately 5 postpartum visits with you. Are you a health practitioner that works at Womancare Midwives? Sign up with Health Choices First.